The growing world of pharmacy technology is as exciting as it is interesting! Your learners have embarked on a journey to become a part of one of the fastest growing health care fields. Pharmacy technicians are the backbone of the pharmaceutical field, with more and more budding roles and responsibilities. Adding more obligations to an already challenging workload may seem daunting, but it will lead to increased competence and better patient care. Some of these responsibilities include managing inventory, medication distribution, quality control, and patient education. Working directly with patients to provide medication information and answer questions creates a need for more extensive hands-on training, which KbPort™ Pharmacy Tech Lesson Plans will walk you through. As the roles of pharmacy technicians continue to evolve, it becomes increasingly important for educational programs to further challenge learners and provide them with the hands-on practice necessary for their success. 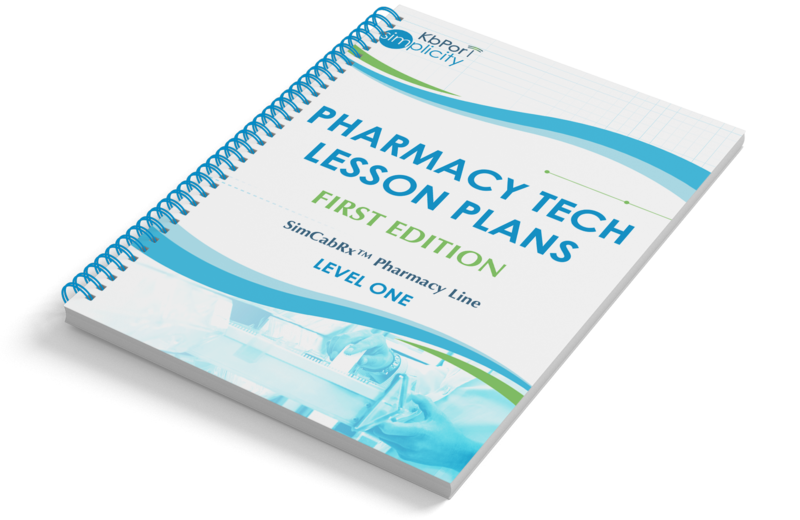 Pharmacy Tech Lesson Plans will help you instruct learners in gaining the skills and practice needed in order to fulfill future tasks as pharmacy technicians through various teaching methods, including hands-on training, and activities. Through these Pharmacy Tech Lesson Plans learners are sure to become highly skilled pharmacy technicians, improving patient outcomes.